Zeode Software has been developing apps for the iPhone and iPad for over 9 years, in addition to doing client work for Android, macOS, Windows, and the web. Below is a sampling of our work. The best way to organize your holiday gift-giving. 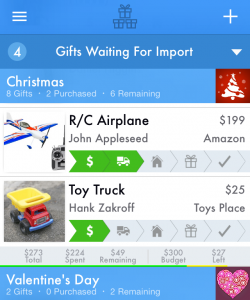 Track gifts, events, people, and ideas: Plan everything in one convenient app! 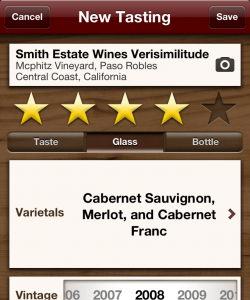 Make recording your tasting notes fast and easy. Take photos, record scores, add note tags, and keep track of what you’ve tasted where! 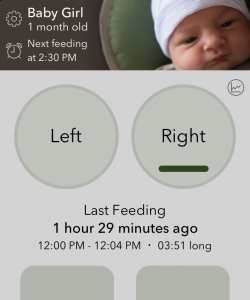 The easy way to keep track of your baby’s feeding schedule – side tracking, feeding timing, and reminders! 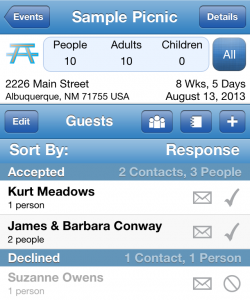 Get a handle on your parties & gatherings by keeping track of your invitees with a guest list planning tool for any kind of event. 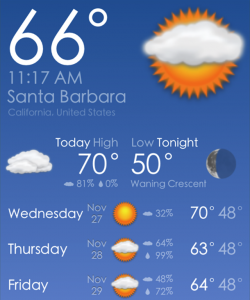 15-day forecasts, presented in an easy-to-read format. Plan your week with the most complete and up-to-date information! 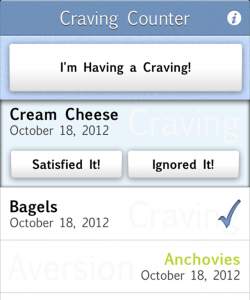 Now you can document all your cravings, weird and otherwise. From the classic ice cream and pickles to toothpaste and rubber, document it all here and share it with your friends. Zeode’s clients range from individual entrepreneurs to small local businesses to enterprise corporations. Get in touch to talk about your project idea!